Rest in peace, Tim. Thank you for creating such amazing music that helped millions of people. Tim, du saknar! Jag tror fortfarande inte på det !!! och jag kan bara inte tro det !!!! en underbar person !!!! Tim. He helpled me out of hopelessness, dispair and darkness. His music was my escape from the world - it was my happiness. It was what he deserved; love, kindness, consideration, and thoughtfulness. It screamed "you're not alone" . Unfortunately, we didn't scream that to him. Vila i frid Tim, du är en härlig person. He was an inspiring legend for all the teenagers ,dj s ,music producers, etc .His way of playing dj was heart touching and melodious. I don't know why he did suicide but many people in this world still cries for him. The most important thing is that -Legends never dies. I've loved your music since the very start. Deep in my heart and soul is especially "Wake med up" as comforted me all the way during my cancer treatment in 2013. Avicii meant, and still means to me one of the greatest composers of the century. Tons of great memories of my life are related with his music. I'm proud of being able to say that I lived and enjoyed his music when he was alive. You will surely be missed my everyone. Legend. Just read an article about how Avicii was trying to learn meditation for some time before his death. It is a real shame he didn't do a 10 day vipassana course. It would have helped him and could have prevented him from taking his own life. 僕が初めてaviciiの曲を聴いたのは小学校のときにラジオから流れていた時だった。 彼の曲を聴いた途端に体が震えた記憶がある。「なんて斬新な音楽なんだ！」と僕はそれ以降、彼の音楽を追っていった。彼の音楽が洋楽やEDMの世界へと僕を引きずっていった。 ある朝親からお前の好きなアーティストが死んだということを聞いて、僕の頭の中は真っ白になった。これは衝撃的な出来事で僕はあの日を忘れることができない。絶対に。彼の音楽は僕の世界を広げてくれた。絶対に彼を忘れない。 ありがとうavicii さようならTim 僕は絶対にあなたを忘れない。 I love you!!!!!!!! Avicii's songs had been with me through thick and thin. The day I got my first car, the day I tried to hurt myself due to a bad relationship, the day I let go of everything just to be happy, the day which I'm waiting to enter my new job, his songs has been there for me. Wake Me Up, Hey Brother, the songs grew up with me. It's sad to see a good soul go, and thank you, Avicii, for going through this journey with me. We bid you farewell and may you be among the stars. Aviciis song “Wake Me Up” helped me get through a bunch of things in my life. Even when I was considering ending it all. Your music will forever be remembered , you will forever be known as a true inspirational legend. Your music has kept me going at my lowest points in life and to be able to say I have lived in the same time as you is an amazing feeling. I got to see him perform live twice. Some very fun days. My best friends with me. We danced to Avicii at my wedding. This guy got me into dance music! RIP Tim. 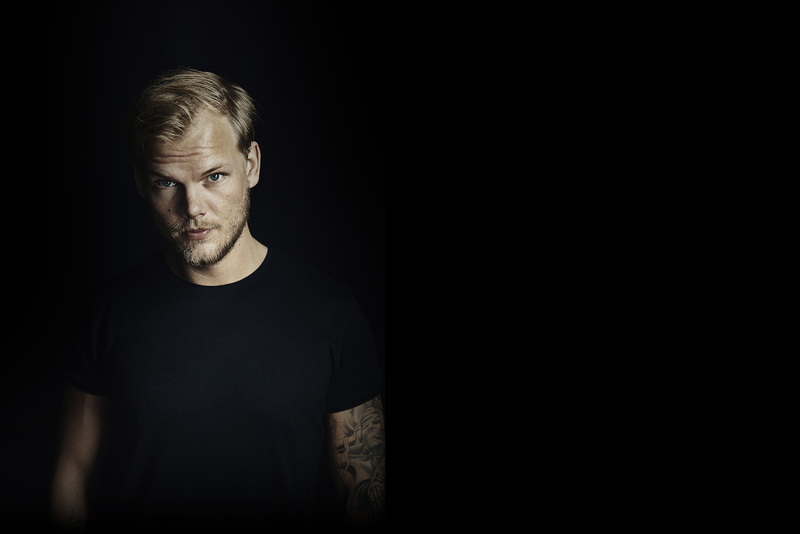 its so heartbreaking that in a months time it will have been a year since the death of Avicii. I was really inspired by his music i listened to his songs almost all the time especially Wake Me Up when it released. I got so inspired i even tried to make my own music and a few games about Avicii non of them were successful but i kept trying. There will now forever be a gap in my life now that Avicii has gone the best thing we can do is move on remember him and keep moving forward with our lives. Avicii's song "Wake Me Up" has given me peace when I needed it, and I hope he is finding the same peace that he needs. Rest in peace. Uno de mis primeros artistas desde muy pequeño, siempre te recordare avicii. I miss you. I wanna die. Gone but for sure never forgotten. Listening to Levels still feels the same, just like the first time. Safe travels Avicii, I'll bring your music on mine. "Yeah, you come to raise me up When I’m beaten and broken up And I’m back in the arms I love"
Soon we will meet brother :-) but not now. Thank you for the song "Wild Boy" i love it very much. You are not away you just went before us in another sphere. 2014, football world cup, I did not know that you were the genius behind this music, waouh! ! I listened to it so many times .I discovered you. Now, I have a tight heart when I hear it. You have the power to make people happy, what an extraordinary power Tim. Thank you for all this, immense talent, grand. Much love Tim unforgettable , incredible. ❤❤❤❤❤❤❤❤❤❤❤. Avicii introduced me to EDM and my love for the genre has all stemmed from his songs, which will forever be my favorites. I love you Avicii, I hope you have found peace. If I could meet you again, I'd go first I'd hug you a lot and kiss you too ... then later, I'd slap you in the face because you abandoned those who loved you!I have a lot of love for you, but it's a very special kind of love! My dream was to hug you ... but now I find out that my dream will never be fulfilled ...His song Wake Me Up enchanted me a lot. I heard her 3 years ago. Later I got to know several of his songs. I know almost all of them as well as I love them all. I 💜 YOU. When ı was at universty inİstanbul, alone and very upset whit my boyfriend, sitting one bar cihaire ı was thinking on life and waiting for a hope, a hope that will keap me a live,and then suddenly ı song had started to play. that song was flow hope and joy. ıt filed my hole body and my soul was free again. ı slept my most peacefull sleep ,taht night.ı had learned that the song was blong to Avicii, for ı long time later. ı dont him personely but ı can say that he has a very large and rich soul. Still have to cry listening The Nights esp. w/video and since i am young dad. Pure and mentally totally motivating reg. Emotions. Thats life. Thank you. My wife and I went to see you in San Diego in 2011 (one of the 9 times I saw you perform), you opened for mau5 which is funny. Tommy Lee went on before you and the crowd lost it's energy. Not sure if you sensed it but you opened with LEVELS and the crowd exploded with energy! Thank you for the fun show. Then you flew to San Francisco and my buddy saw you play the same night. Too many shows. Miss you and thank you for the beautiful melodies. One of the best DJ ever that rocked my childhood ! Avicii's music helped me through a dark time in my life. He helped me to look at the brighter side of life and made me understand that I wasn't the only one going through tough times. His music resonates through my life today and I've always wanted to thank him. Rest in Peace brother, thank you for saving a stranger's life. Tim helped me so much through my life. I remember when I moved to Sweden and had no friends, no one to turn to, no one to talk to, his music ment everything to me. It helped me to push through the hard times even though it was so hard to do that. I always kept fighting with my depression and his music helped me. As one of his songs goes "I could be the one to make you feel that way, I could be the one to set you free". Avicii has set me free a thousand times,, Love you forever. 11 months... where are you now, my friend? Thank you for every single day that you spend for us! For everyday that you composed music to us ! For made us living a dream and dancing all night long ! For made us not feeling ever alone! Miss you Tim , but you are living with us everyday with your music! Still hoping this is all just a bad dream, thanks for all the great memories and inspiring us day by day.